This Blog was born from a wet day in Germany, looking at one of the many war memorials in that country and further investigation which led me to notice a lack of reference material with regards to the German Army in World War One. My work on this project has been made easier by the World Wide Web, but with the information tools at my disposal it has been a constant battle to ensure that the correct information has been included. 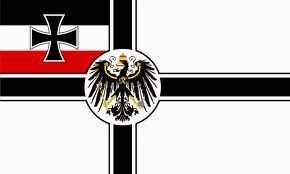 This Blog is intended for reference, and will hopefully enable those with an interest in the German Army of World War One to look up with confidence the various units and organisations which contributed to the German war machine. The 1st Army was formed on 19th July 1914, as a result of the battle of the Somme. Copyright © 2014 by Michael Howson . Simple theme. Powered by Blogger.